Judy and Andrew have run Lightstream Health Clinic in Sawtell NSW, and Lightstream Sanctuary Retreats in the hinterland of Coffs Harbour, Eastern Dorrigo Plateau for the past 21 years. 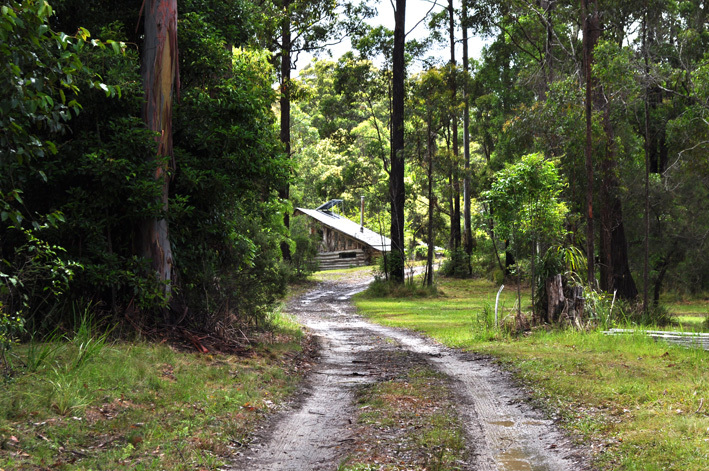 Lightstream Sanctuary is a pristine natural environment 1 hour drive from Coffs Harbour amid 120 acres of rainforest and a spectacular waterfall! We invite you to experience something magical at our 3 day retreats held 3-4 times a year, in absolute peace and tranquility. Our Retreats offer participants the opportunity to learn the latest research in healthy eating habits, the identification of herbs and their uses as medicine, relaxation techniques and meditation, workshops to empower and inspire self awareness and understanding of who I am, along with yoga, swimming in the amazing waterfall, mud wraps by the river, walks in the rainforest, and sample excellent vegetarian fare in a very relaxing and communal atmosphere. Andrew is a practicing Naturopath with a Bachelor of Health Science, and has taught Nutrition and herbal medicine at the NSW School of Natural Medicine for 11 years. He has been a meditator for 35 years and along with Judy, run a free meditation evening at their Clinic every Thursday 6-7pm. Judy is a Counsellor with Degrees in Counselling and Psychology and has a nursing background in Oncology medicine and has also taught and practiced meditation for 35 years. Both practitioners have many years experience facilitating workshops to teach people the tools to be able to thrive in today’s hectic lifestyle. Feb. Friday 15/2 6pm to Mon 18/2 2pm. April: Friday 19/4 6pm to Mon 22/4 2pm. Rejuvenation Retreats for 2019 Feb: 15/2 6pm to Mon 18/2 2pm. April: Fri 19/4 6pm to Mon 22/4 2pm. Do you need to get away, unwind and return to peace in your life? get a new perspective on life, embrace new skills and get away to reboot? Lightstream Sanctuary is offering 3 day retreats to relax, unwind, and treat yourself. Yoga sessions, Herbal identification and using herbs as medicine, practical nutrition and using food as medicine, mud wraps by the river, meditation for stress relief, and healing workshops, swimming in the amazing waterfall and having a neck water-massage, walks in the pristine rainforest and delicious vegetarian fare. Massage available as extras. A not to be missed experience in these changing times, regain your peace, learn who you are. Accommodation: 4 x2 bed share rooms, plus cabin with queen bed, two singles. Cost $475 ($400 early bird 2 weeks before) all included. Deposit to book $100. 1 Hour from Coffs Harbour in the Eastern Dorrigo Plateau on a 120 acre pristine, temperate rainforest with rivers and stunning waterfall. 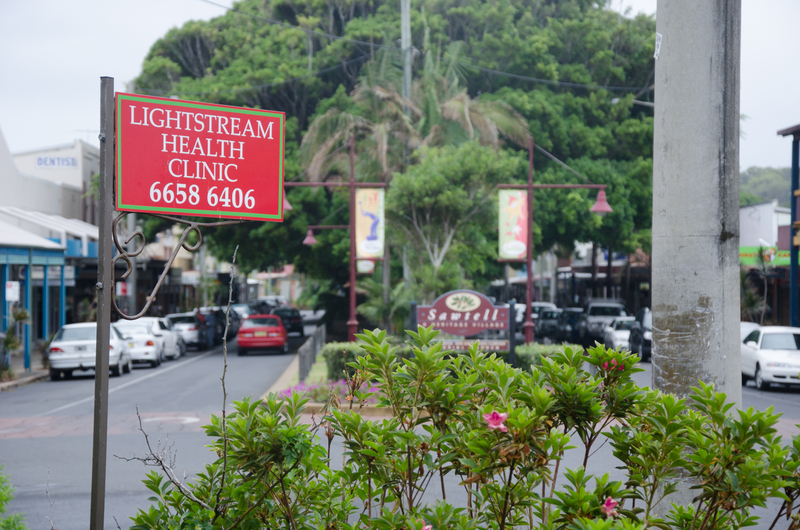 Lightstream Health Clinic, located at 7/66 First Avenue Sawtell has been operating for over 18 years from the main street of Sawtell and offers a comprehensive range of natural and holistic products and services by fully qualified health care professionals. Health Fund Rebates and Seniors/Children Discounts available. The flexible program includes naturopathic health assessment, massage, Nutritional advice and healthy cooking demonstrations, Yoga, T’ai chi/qigong, Meditation and Stress Management, Bush Walking, workshops for self enhancement, and additional activities according to the season, with all gourmet vegetarian meals provided and juices and light meals if a detox retreat. All accommodation & meals included in the one price. Find out more about our retreats, accomidation and services. Summer is a beautiful time of year at the Lightstream Health Sanctuary with native plants and the extensive herb and vegetable garden in full bloom. It’s a wonderful time to stay in the cabin or come along to one of our weekend retreats. We have 3 days retreats on demand. Please register your interest by emailing lightstream108@westnet.com.au.